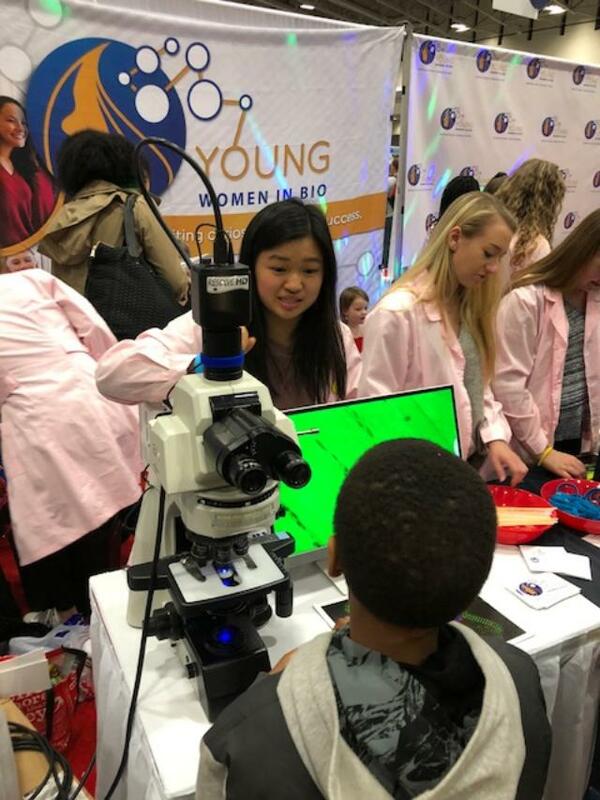 Young Women in Bio (YWIB) is a nationwide, non-profit, volunteer organization that encourages young women to explore education, careers, and other opportunities in STEM. YWIB Capital Region began as a special initiative of Women in Bio (WIB) and remains active in Washington D.C., Maryland, and Northern Virginia. YWIB gives girls the inspiration and support they need to become tomorrow’s leaders in science, technology, engineering and Math (STEM). 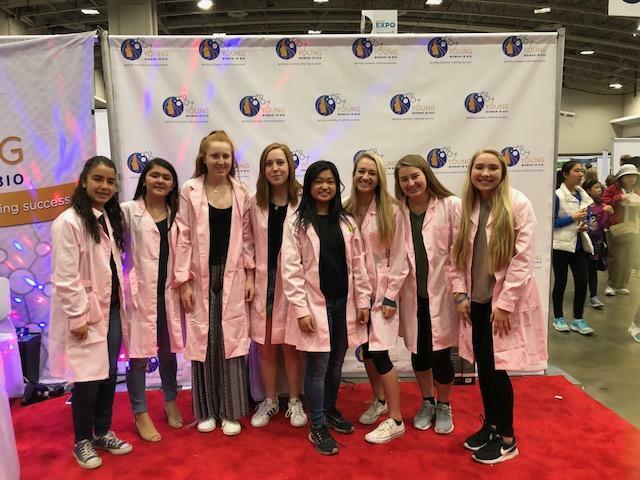 We aspire to be the “go to” organization for girls looking to shape and change the world through STEM, providing them with the tools and resources they need to build successful careers. We exist to ignite the curiosity and fuel the passion in girls, supporting them as they shape and change the world. YWIB Capital Region is open to collaborate, partner, or volunteer with local organizations and companies committed to STEM education and supporting the future of young women. If your business is interested in sponsoring YWIB event in Washington D.C., Maryland, or Northern Virginia, or if you would like to volunteer, please contact capitalregionywib@womeninbio.org. YWIB Capital Region is pleased to announce a continuing collaboration with the National Institutes of Health (NIH) and the National Institute of Neurological Disorders and Stroke (NINDS). In the spring of 2018, YWIB Capital Region and NINDS collaborated to bring a 3-part educational series on the human brain called “Lights, Camera, Action Potential!” to a group of 50 high school girls across Prince Georges County Public Schools (PGCPS) in Maryland. These young women networked with female scientists from NIH and YWIB, and explored themes around the brain using cinema. The educational series culminated with a site-visit to the NIH campus and a panel discussion with female leaders at NIH. A second series is in preparation for the spring of 2019. YWIB continues its partnership with University of Maryland Medical School and National Cancer Institute (NCI) Continuing Um-brella of Research Experiences (CURE) program to provide an educational day in a University of Maryland Medical School cancer lab, allowing high school girls (grades 10-12) to explore career paths in the biological sciences. In 2017, this event was attended by 28 high school girls from 5 schools and in 2018, we had 38 high school girls from 4 schools. Attendees perform hands-on experiments such as isolating DNA from cancer cells, and learn about STEM careers from a panel of women professionals in medicine, nursing, and biomedical research during a lunchtime roundtable career panel.